The next eight Sentinel environmental satellites of the European Earth Observation Program Copernicus will be equipped with 16 navigation receivers from RUAG Space. The next eight Sentinel environmental satellites of the European Earth Observation Program Copernicus will be equipped with 16 navigation receivers from RUAG Space. Image is courtesy of RUAG Space. These navigation receivers determine the current position of the satellite with an accuracy of just a few centimeters. Only in this way is a highly precise evaluation of the measurement data recorded by the instruments on board a satellite possible. 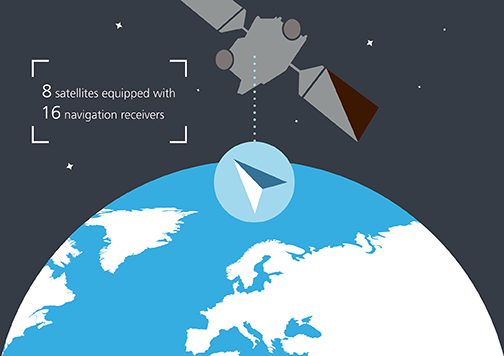 Six Sentinel environmental monitoring satellites of the European Earth Observation (EO) program Copernicus are already using RUAG Space navigation receivers to determine their current position in space with high precision. The next eight Sentinel satellites will also be equipped with a total of 16 space-compatible receivers from RUAG Space. The first two receivers for Sentinel satellites have already been delivered and an additional 14 will be gradually delivered by summer 2019. Image is courtesy of ESA-Pierre Carril. 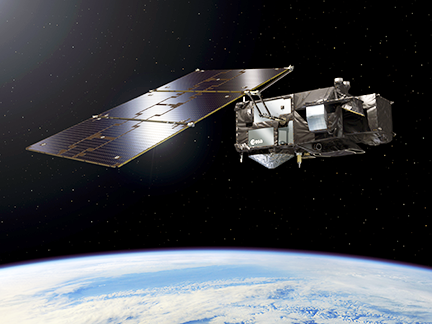 The EU Sentinel satellites (managed by the European Commission, developed under the aegis of the European Space Agency) are part of the Copernicus satellite fleet, which is to establish an environmental monitoring program by 2030 with 20 satellites at the end of the year that are unique in quality and quantity worldwide. With more than 1,400 staff across six countries, RUAG Space develops and manufactures products for satellites and launch vehicles — playing a key role both in the institutional and commercial space market. RUAG Space is a division of the international technology Group RUAG.